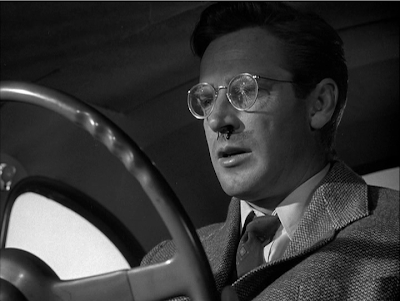 That's right, it's another theme week: Film Noir! How it Came to be Underrated: Barry was blacklisted by the McCarthy witchhunts and fled to Europe. By the time he made it home his career was over and his films were forgotten. I decided to start off noir week with a rare “textbook” noir. Film histories often play up the “G.I. 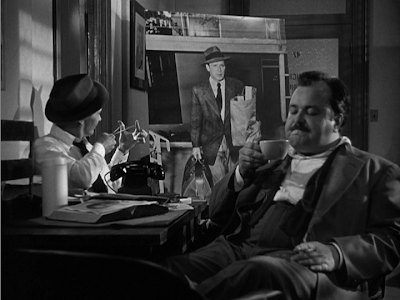 panic over cheating wives” aspect of the noir phenomenon, but very few noirs actually feature that storyline. But though this movie starts out with that prototypical situation, it quickly takes several smart turns. Too often, noirs create a bad situation and then they just twist the knife for 90 minutes. Not this one. Every ten minutes, everything changes. The tension doesn’t just build, it twists itself into knots. The movie is devilishly post-modern. Totter obsessively goes to the movies and then sits at an L.A. pharmacy counter trying to get picked up just like Lana Turner. 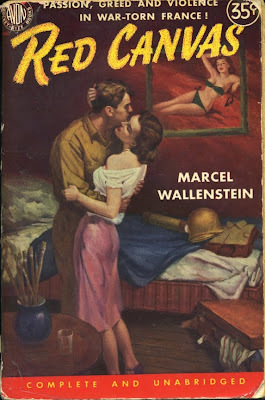 Basehart’s friend gives him the idea that everyone in the true-crime pulps gets away with murder. As for Basehart himself, we know he’s a movie star, but he doesn’t look like one at first, hidden behind glasses and lame hair. Then he transforms himself into the star we expected to see—by flipping through a magazine and re-naming himself after a movie star! This is a movie where people act like they’re in a movie because they want to act like they're in a movie. It’s so strange to see future a-lister Cyd Charisse billed behind Audrey Totter. 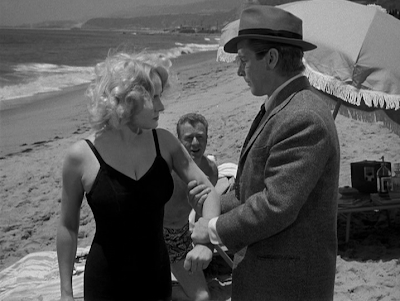 Totter was the poor man’s Gloria Grahame. In her most legendary noir, The Set-Up, Totter seems like a poor substitute, but she was stuck playing a good girl there. It turns out that all she needed was a chance to be bad—very bad! She’s great here, imbuing what could have just been a sexist stereotype with righteous self-confidence. The movie is filled with outrageously bold symbolism. 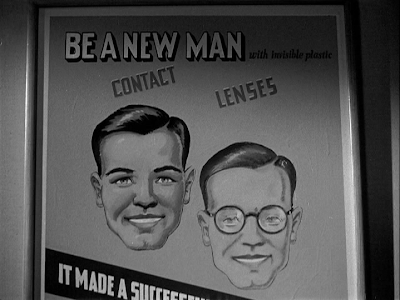 Each character has their own symbol: Basehart has his glasses. Sullivan's detective has his rubber-band, always testing the tension. Totter has her doll. Charisse has the little man she makes. The wife’s lover even carries a pitchfork! We do a double-take until we realize that the filmmakers are having a laugh with us. If You Like This, You Should Also Check Out: The most famous of the blacklisted noir filmmakers was Abraham Polonsky, who wrote Body and Soul and directed Force of Evil. Like this one, those films weren’t overtly political, but had enough subversive smarts bubbling under the surface to scare the status quo. How Available Is It? : It’s available from Netflix on one of those 2-movies-on-one-dvd deals, so you would assume that it’s feature-free, right? You’d be wrong. It’s got a commentary by top noir scholars Alain Silver and Elizabeth Ward along with Totter herself. There’s even a well-made little featurette. Today's Post Was Brought To You By: Red Canvas!